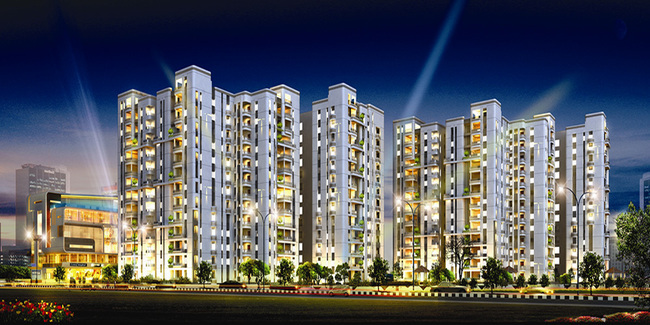 Details: The project is coming up at Gachibowli, Hyderabad spread over 4 acre of land. The project offers 4 towers with G+12 floors, having 184 units of 3, 4 & 5 BHK apartments. Apart from the basic amenities, the project offers badminton court, lawn tennis court, multipurpose court, basketball court, swimming pool, table tennis, water softener plant, wi-fi connectivity, rain water harvesting, billiards, landscape garden, etc.